Hop farming in Australia came on the heels of the continents colonization. It all started with the rather colorful father of Australian hop cultivation, also thought to be the founder of Australia’s first commercial brewery. James Squire came to Australia in 1788 after being convicted of stealing a neighbor’s chickens, this after being arrested for highway robbery several years before. The change in scenery did little to mend his ways. 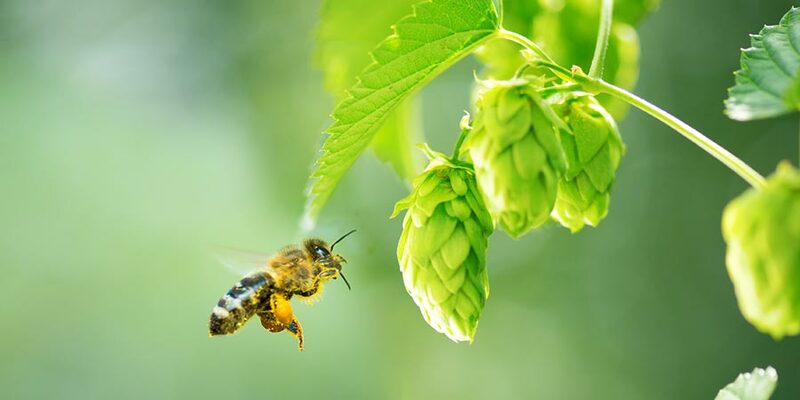 He was charged with stealing once again, though this time instead of chickens it was horehound, a medicinal herb also used in brewing beer at the time. He was given a reduced sentence of 150 lashes for the crime. Squire was freed in 1792, and granted 30 acres of land. He immediately went to buying the plots around his, for a measly shilling apiece. 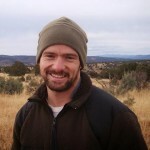 Over a few years he built his plot up to something close to 1,000 acres. He started a farm which included the first hops and later, opened The Malting Shovel Tavern, where he served the beer he’d brewed with his own hops to any weary traveler in need of refreshment. Jump ahead to today and the main player in Australian hops is Hop Products of Australia (HPA), which controls about 90% of production. HPA owns Bushy Park Estates and Rostrevor Hop Gardens, farms that have been growing hops since before 1866. 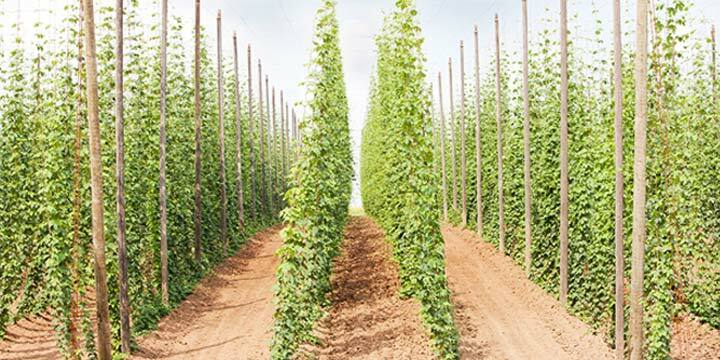 They are two of the oldest continuously operating hop farms in the world. Galaxy hops are Australia’s and HPA’s greatest success. HPA developed a breeding program in the mid ’90s to create specific new varieties with some European traits and high alpha acid content. Breeding, for what would become Galaxy, started in 1994 when an Australian female plant known as J78, which is progeny of the variety Pride of Ringwood, was crossed with a male derived from the high alpha German Perle. After the initial breeding stage, the new hop variety was grown and evaluated across several test plots before being released in 2009. 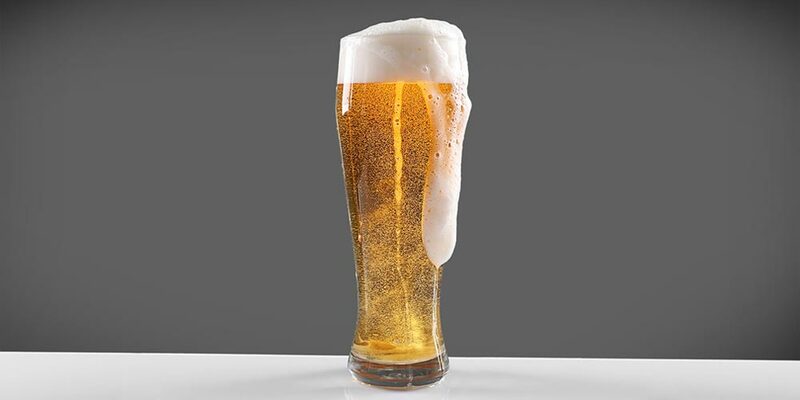 Galaxy found quick popularity with Australian brewers and those in other countries. This variety has one of the highest percentages of essential oils known, making its fruity aroma/flavor character very unique and inviting. It first appeared commercially in the U.S. in Widmer Brothers Galaxy-Hopped Barleywine ale in 2011; an ale that is sadly no longer available. 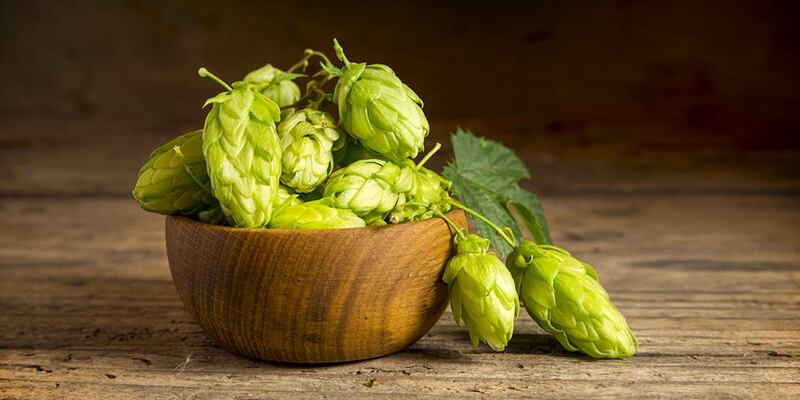 Galaxy hops remains one of the most sought after varieties even today. The farm land dedicated to producing Galaxy was increased by 48% between the 2015 and 2016 seasons. Even so, HPA could not fully supply the contracted hops this year because of some fluke weather that lowered harvest yields. Despite this bad luck much of the expected yield for 2017 is already under contract. Sadly, Galaxy is under patent, so rhizomes are not available to the home brewer. 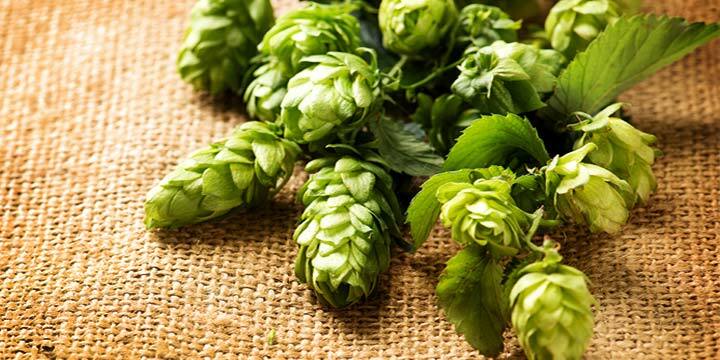 But, don’t worry there’s plenty of great hops such as Cascade, East Kent Golding, and Magnum that are available for anyone looking to make hops a homegrown ingredient. Growth Rate — No data available. Yield — No data available. Cones — No data available. Susceptible/Resistant to — Unknown. Australia has few of the hop pests and diseases common in other countries. Ease of Harvest: — No data available. Storage: — No data available. This is a good dual purpose hop. Its high alpha acid makes it excellent for bittering additions, while high amounts of essential oil make flavor and aroma its true calling. 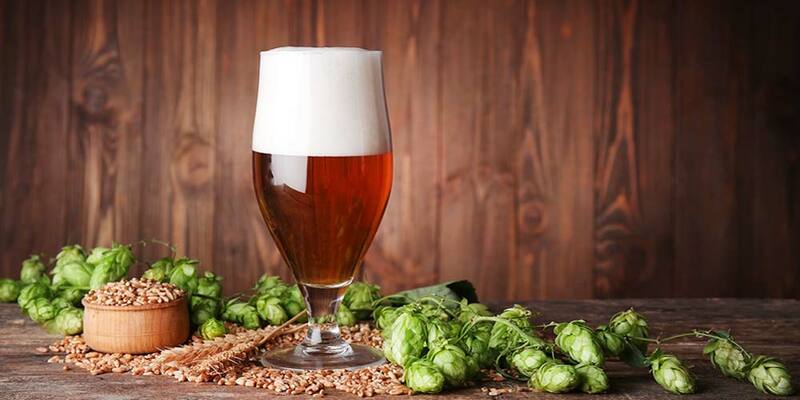 To preserve the striking flavor it is popularly used later in the kettle or for dry hopping. Its intensity can sometimes seem overwhelming in a finished beer, but with a little time it will mellow and show its true fruity character. These are general substitutions and are not perfect Australian Galaxy clones in any respect. 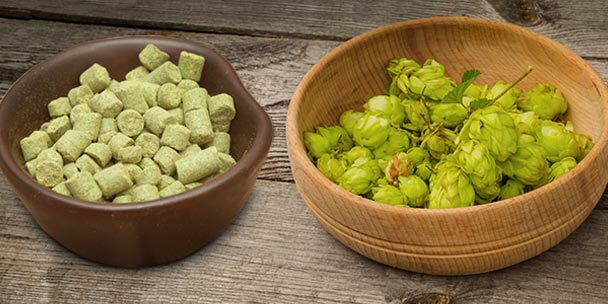 Each hop variety is unique in some way, so do not expect the exact same beer you’d get using Australian Galaxy hops. Obviously this goes the other direction too, using Australian Galaxy as a sub for one of the below listed hops. To help you gain a better idea of what this hop variety smells and tastes like, I would recommend sampling as many of these as you can get your hands on. This will help your understanding of how Galaxy works in different styles of beer and give you a better idea of how to use it in your own recipes. Where can I get some in northern lower michigan ?